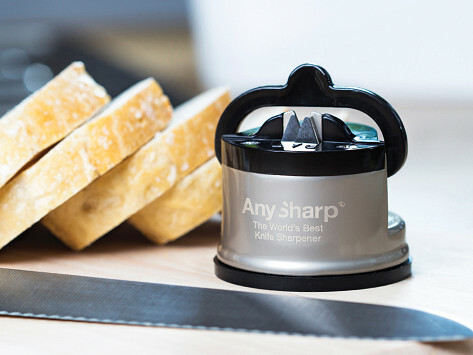 This patented Knife Sharpener uses tungsten carbide to extend the life of almost any knife blade. 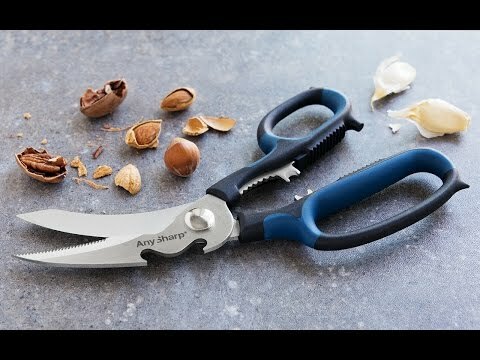 It sharpens stone, steel, and even serrated blades to bring new life to your knives. Dimensions (in packaging): 2.5" x 2.5" x 2.75"
Easy to use, mount holds on to the kitchen counter very well and it cuts a good edge fast. Best part is touching up the edge is very fast. Years in the kitchen and I can only name three items that have made my work infinitely easier and this little Any Sharp is one of them! I know it’s hard to believe because of its size, but you’ll not be disappointed! As a fairly regular customer of Grommet I have come to trust the uncommon offerings. Works surprisingly well! Thanks Grommet.